The Foyle Press offer a wide range of wedding stationery. 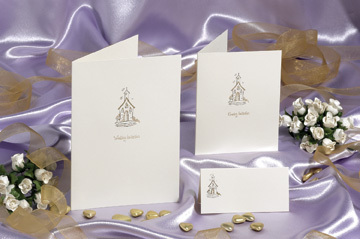 We are an agent for Lantz Stationery and have a range of classical, humorous, celtic and hand-made wedding invitations. All designs can be personalised with your details and your choice of font, wording and colour. We have cards to accommodate all budgets and tastes. All cards are made in Ireland to a high standard of quality. We also print invitations in-house at a more budget-friendly price.